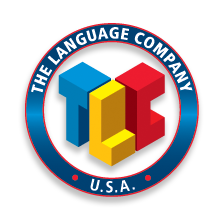 The Language Company-Toledo (TLC-Toledo) is a branch campus of the Language Company located in Toledo, Ohio. We offer students high-quality academic programs in a safe and exciting area of the city. The surrounding community is renowned for its friendly, welcoming atmosphere and there are several major attractions within a short drive. TLC-Toledo's Intensive English Program classes are small with concrete learning objectives in our nine levels of instruction ranging from beginner to advanced. The courses for each level (1-9) are four weeks in duration, and the Foundations of English (FE) Program is eight weeks. There are 13 start dates each year. Because our program is intensive, students will have to concentrate on their studies but will have many opportunities to attend activities to learn about American culture and just have fun!